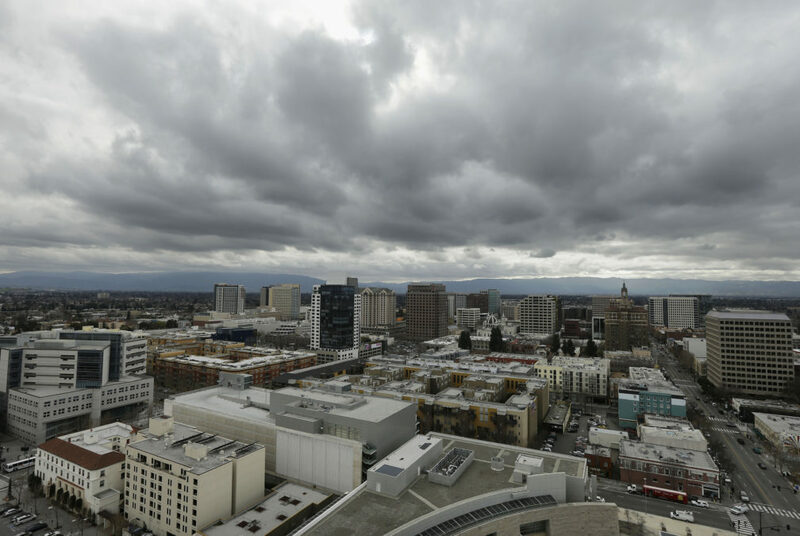 The San Jose skyline is seen from City Hall. There’s one problem facing journalism today that looms larger than practically anything else: the decimation of local news. We wanted to help. But we’re a national news organization. We don’t have the local knowledge or resources to jump into communities across the country and do sustained, meaningful investigative reporting. We realized, however, that we had some skills we could contribute: collaboration, engagement and training. Our whole model is built around collaborating with other newsrooms, large and small, across all platforms. We put a high value on involving communities in our reporting, and finding new ways of engaging them with our stories. And we’re pretty regularly teaching radio, investigative and data skills inside our own newsroom and to journalists across the world. So today we’re beyond excited to launch Reveal Local Labs. Over the next two years, we will be facilitating reporting collaborations in four cities across the country. Deliver high-impact investigative reporting in each city. Help facilitate a spirit of collaboration among local news outlets that endures long after we’ve left. Find creative ways of involving each community in the reporting from the outset, before the stories have been finalized. The first of these models is now up and running in San Jose, California. We have an impressive team lined up: NBC Bay Area, Telemundo Área de la Bahía, KQED public radio and The Mercury News. At the beginning of September, we’ll convene all the partners to select a general theme. Later in the fall, we’ll convene one or more community events in San Jose to enlist the public’s help in better understanding the issues behind that theme. Armed with that community feedback and their own local knowledge and initial research, the reporting partners will pair up on at least three investigative stories. We’ll also be hosting a Watchdog Workshop at San Jose State University, teaming up with Investigative Reporters and Editors to train local journalists in investigative reporting on Sept. 29-30. We couldn’t do this without the generous support of the John S. and James L. Knight Foundation, Democracy Fund, Ethics and Excellence in Journalism Foundation, John D. and Catherine T. MacArthur Foundation, Jonathan Logan Family Foundation, Geraldine R. Dodge Foundation, Heising-Simons Foundation, News Integrity Initiative, and Reva and David Logan Foundation, among others. There’s no one thing that will solve local journalism’s massive problems. But we hope this endeavor can be one of the many efforts across the country helping to ensure that local communities have the vital information, and the voracious watchdogs, they deserve. Deliver high-impact investigative reporting in each city. Help facilitate a spirit of collaboration among local news outlets that endures long after we’ve left. Find creative ways of involving each community in the reporting from the outset, before the stories have been finalized. At the beginning of September, we’ll convene all the partners to select a general theme. Later in the fall, we’ll convene one or more community events in San Jose to enlist the public’s help in better understanding the issues behind that theme. Armed with that community feedback and their own local knowledge and initial research, the reporting partners will pair up on at least three investigative stories.